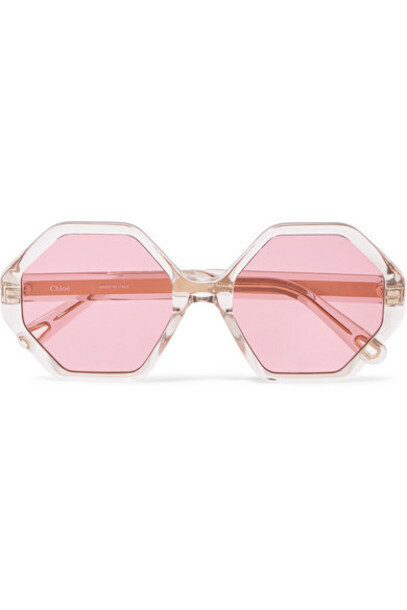 The rose-tinted lenses and hexagonal frames of Chloé's 'Willow' sunglasses give them a distinct retro feel. Made in Italy from clear acetate, they're traced with hammered gold-tone metal along each arm that almost sparkles as it catches the sunlight. Stow yours in the hard case to keep them free from scratches.